At the invitation of the National Economic Research Institute of Laos, Wang Anshun, Vice-President (ministerial-level) of the Development Research Center of the State Council (DRC), led a delegation to Laos from July 9 to 13. Wang exchanged views with senior Laotian officials on China-Laos economic and trade cooperation and future cooperation between the DRC and the National Economic Research Institute of Laos. 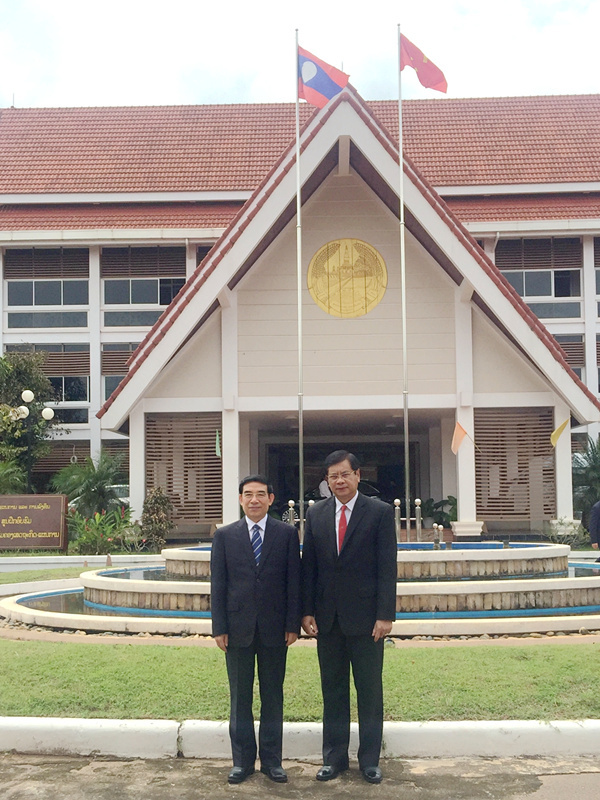 Wang met with Bouasone Bouphavanh, head of the National Economic Research Institute of Laos, to discuss China-Laos institutional cooperation under the Belt and Road Initiative. 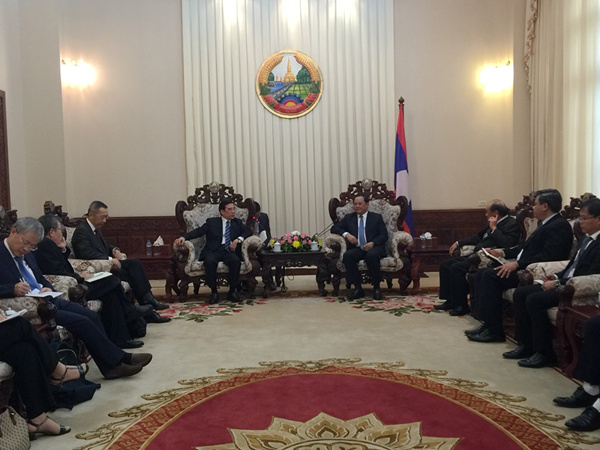 Wang met with Laotian minister of agriculture and forestry and Laotian minister of industry and trade to exchange views on China-Laos agricultural cooperation and trade and investment opportunities. 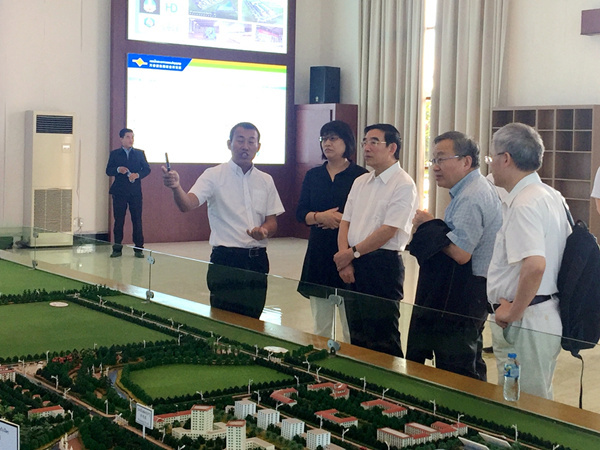 The delegation also visited the Vientiane Saysettha Development Zone and held a symposium for Chinese-funded enterprises. They went as well to a China-Laos modern agricultural science and technology demonstration park and the National University of Laos.